ENCINITAS — Jessica Toth, managing director of Solana Center for Environmental Innovation, motioned toward a compost bin while walking through the nonprofit’s property last week. From composting to tree planting, Solana Center educates the region about a number of environmental causes. The nonprofit’s home base is on Via Molena, just east of the Encinitas Sheriff’s substation. But recently, the county announced the Solana Center would likely have to relocate, a prospect that worries Toth. Solana Center takes up part of a 10.4-acre parcel owned by the county. With its 10-year lease set to expire in March, the nonprofit hoped to lock in another long-term agreement. However, county staff members stated that there are plans to sell or lease the 10.4 acres, and in the meantime offered the Solana Center only a month-to-month lease option. “We don’t want to lock this up in a long-term lease, because we feel like in the not-too-distant future, there’s a strong possibility we will want to lease or sell the entire property,” said April Heinze, director of General Services with the county. Heinze explained that county policy dictates that staff should try and get as much money for surplus land as possible — what’s known as “highest and best use” — since revenue streams go into county reserves. Currently, only Solana Center and Encinitas Ford lease a portion of the Via Molena property. And with the real estate market improving, the county is looking to sell. She added that staff members continuously evaluate all the properties the county owns to look for the right timing for a deal. Heinze noted the county doesn’t have a timeline in place for when the land could be leased or sold, and it has yet to request project proposals for the site. The site had once hosted a county landfill that incinerated trash more than 40 years ago. The 10.4-acre parcel is zoned for public facilities or semi-public buildings like hospitals, according to Jeff Murphy, Encinitas’ planning director. If the county sells the land to a developer who wants to build housing there, that would trigger Encinitas’ zoning rule Proposition A, which requires that rezone requests go to a public vote. However, there’s uncertainty over whether leasing to a developer who wants to build outside the zoning would be subject to Prop A, because it’s county land, Murphy said. Mark Wheeler, president of Encinitas Ford, said the business uses the site for surplus storage due to its proximity to the dealership. Seeing as how it’s convenient for the dealership to move cars back and forth, he’d like to retain the lease. “We’ve been a good tenant, and they’ve been a good landlord,” Wheeler said, adding that Encinitas Ford is a strong contributor to the local economy. Back at Solana Center, Toth said the nonprofit is on the lookout for a new space, ideally in Encinitas. Even though Solana Center might not have to move for a little while, it faces another pressing issue in the short term: a rent increase. Solana Center currently pays $1,300 a month for its 18,000-square-foot space, a reduced rate guaranteed in its current lease. The new lease being proposed, however, states the land will be reassessed at market rate. 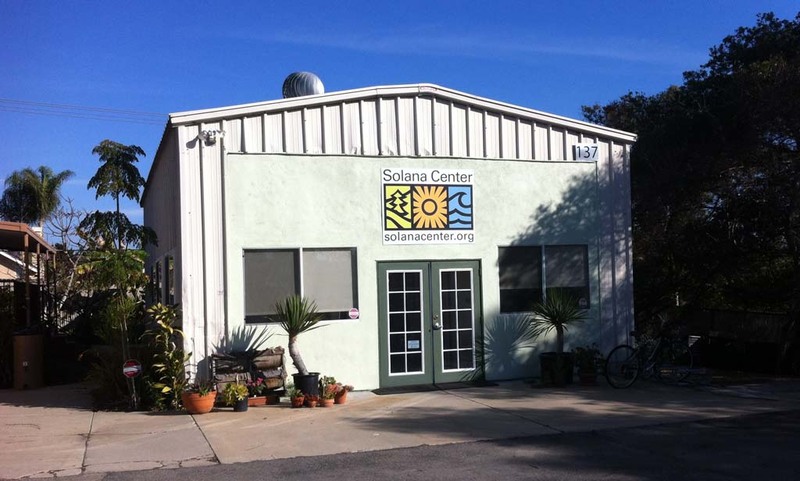 On top of public outreach and classes, the Solana Center contracts with the county, cities and school districts to provide environmental workshops and services. All told, it’s estimated that the Solana Center reaches 10,000 people annually. The new lease agreement will go before the County Board of Supervisors this spring. 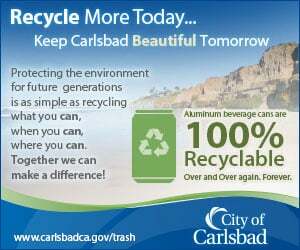 Supervisor Dave Roberts said Solana Center previously received a discounted rate reserved for county tenants that specialize in recycling. But with the nonprofit shifting its focus toward community education, county staff didn’t offer the same reduction in the new lease. A plan for the site would have to eventually go before the Board of Supervisors for approval. Should a proposal come forward, Roberts said making a determination on what to do with the property would be challenging. In some circumstances, Roberts said selling surplus land represents the public good because money from the transaction goes into county reserves and benefits taxpayers across the region. For instance, he noted the Board of Supervisors recently decided to auction two parcels, totaling 36 acres in Santee, earning $36 million — much more than expected, which Roberts attributes to the housing market taking off. “It’s the board’s job to make sure that any time we have excess assets that we don’t need, as stewards of the taxpayers’ money, we have to do what’s in the best interests of the taxpayer,” he said.